Snæfellsnes peninsula has always been considered a mystical place and some people have mentioned supernatural energy emanating from the glacier. 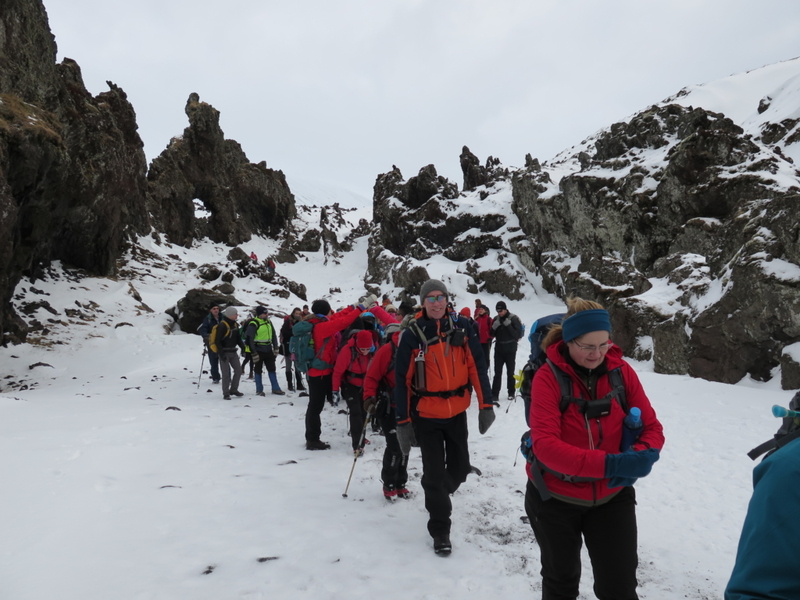 The famous local Þórður from Dagverðará once said that the society around Snæfellsjökull was so incredible that the locals couldn´t make stuff up, the truth would always be far more unbelievable. Þórður himself was one of the characters that brightened the life of others and was described as an artist of life with his unbelievable stories, poetry, painting and fox hunting skills. 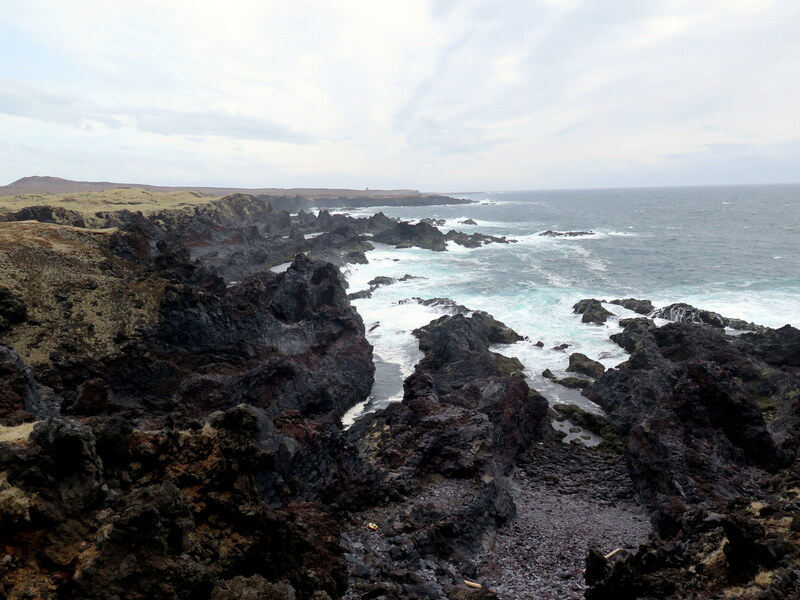 Djúpalón´s and Dritvík´s nature is breathtakingly gorgeous, where the black lava meets the sea and creates troll-like rock formations and finely dark sanded stone beaches. The environment here is incredibly powerful and leaves no-one untouched. You should take your time on this walk, the surroundings will stay with you for a long time. This is an easy walk and suits most people, but the trails can be slippery when wet and icy in winter. 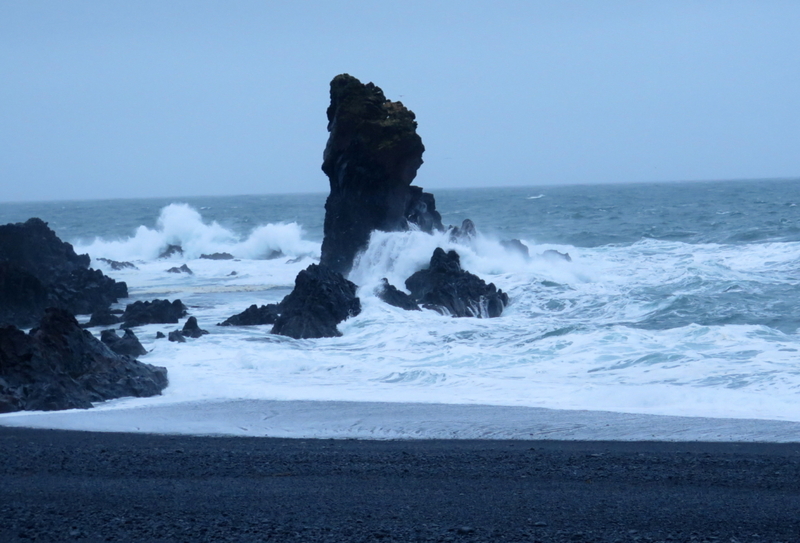 Do not venture too close to the sea in Djúpalónssandur or Dritvík. 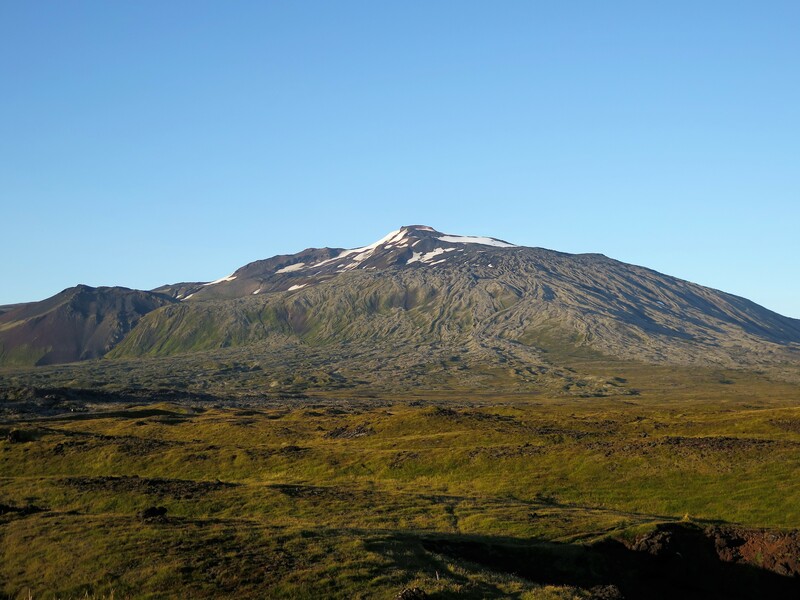 The National Park of Snæfellsjökull is a beautiful place where the lava flows from the Snæfellsjökull meet with the ocean creating unforgettable structures of dark creatures, narrow cloves and edgy rocks constantly pounded by the tireless waves the Atlantic Ocean. We go down Nautastigur which is where bulls were lead to drink from the lagoons of Djupalon. Beneath the Hole in the Rock there are big stones that were used to measure if men were strong enough to become sailors. A tale tells of a group of sailors here that decided to try and improve fishing by using their old dead maid for bait. They fished a lot but the old maid got her revenge when they disappeared with their boat. 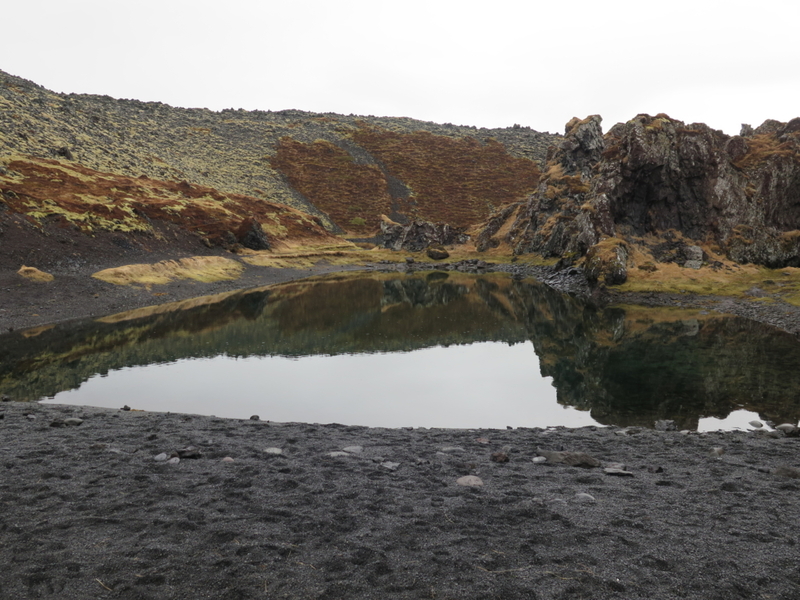 The lagoons of Djúpalón were believed to be bottomless and if you dived deep enough you were supposed to end up in the sea and come up there. In reality they are 5 m deep. In the beach rusty iron is scattered around. 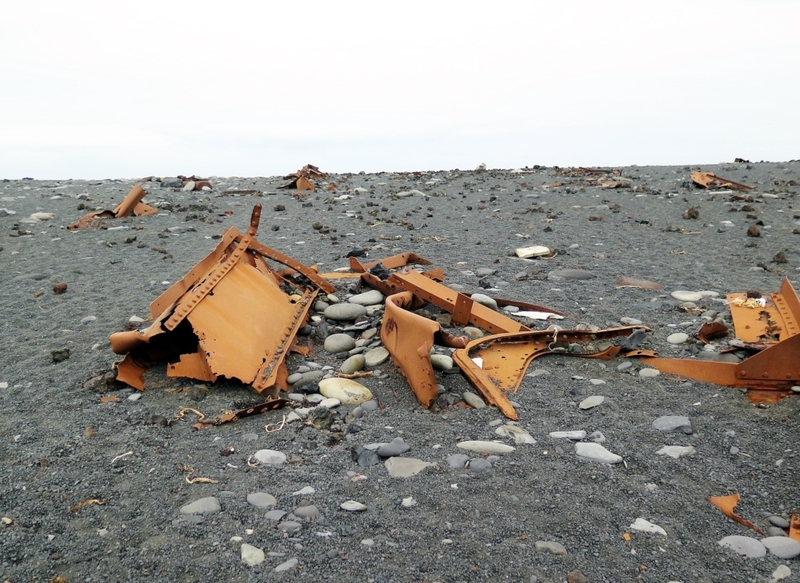 Those rusty metal parts are the remains of the British trawler Epine that stranded in March 1948 and ended here on the beaches of Djupalonssandur far away from its home port of Grimsby. The crew was 19 men and only 5 were rescued. 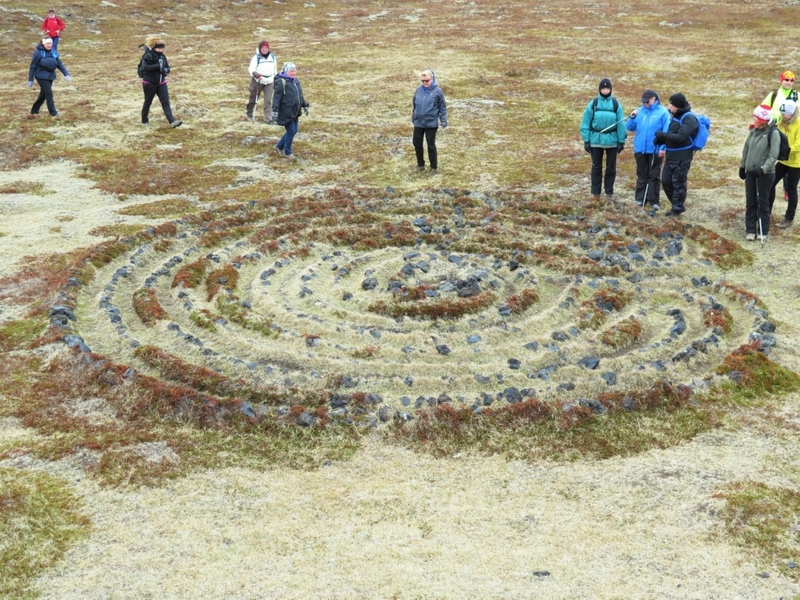 On the way to Dritvik there is an old labyrinth and people should try and find their way out of it blindfolded like the sailors in the old days. In Dritvik itself was one of the largest fishing camps in Iceland for more than 300 years with up to 600 sailors stationed there at the same time. Ruins of old sea camps can be found all over the lava around Dritvík. The route Djúpalón – Dritvík can be found in the Wapp – Walking app on Appstore and Playstore. The route carries much more information and stories on the route. A single rock, called Kerlingin (The Crone) stands at the water´s edge. It is a troll who was too late in reaching her cave when the sun came up. You can see she was carrying fish on her back when the sun´s rays caught up with her.